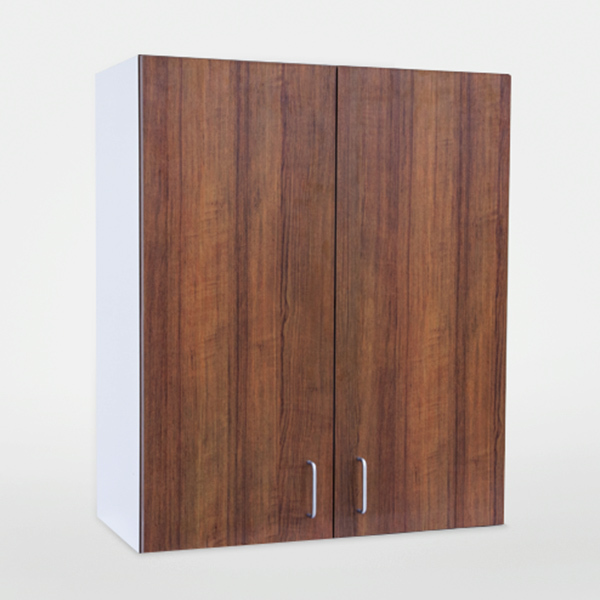 Your absolute best resource for custom fixture and wood projects. 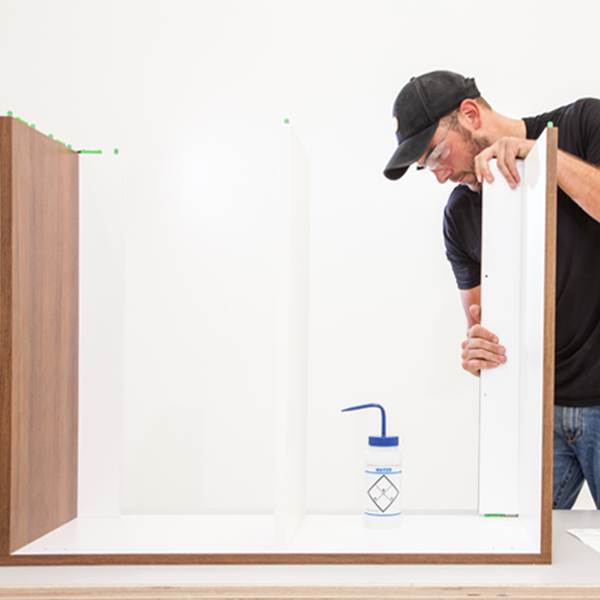 When you’re responsible for building or renovating any project, the reliability of the products that pass through your hands shouldn’t be something you should ever have to second guess. 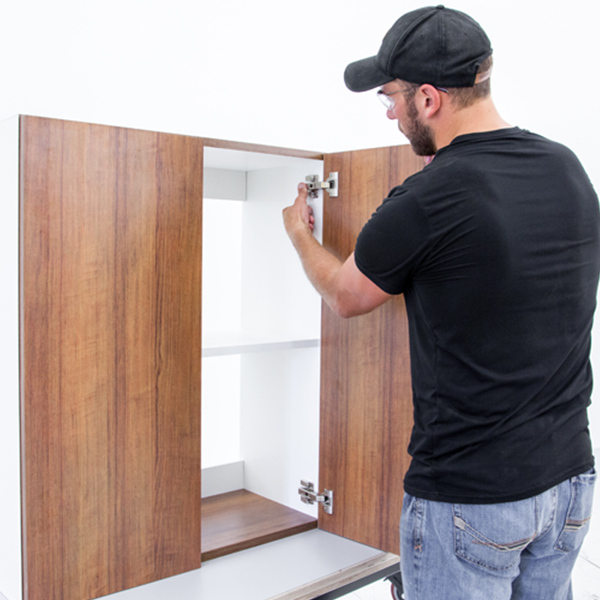 That’s where we come in, along with our latest line of fully engineered, wood-based fixtures: Build Ready Innovative Cabinets. BRIC for short. 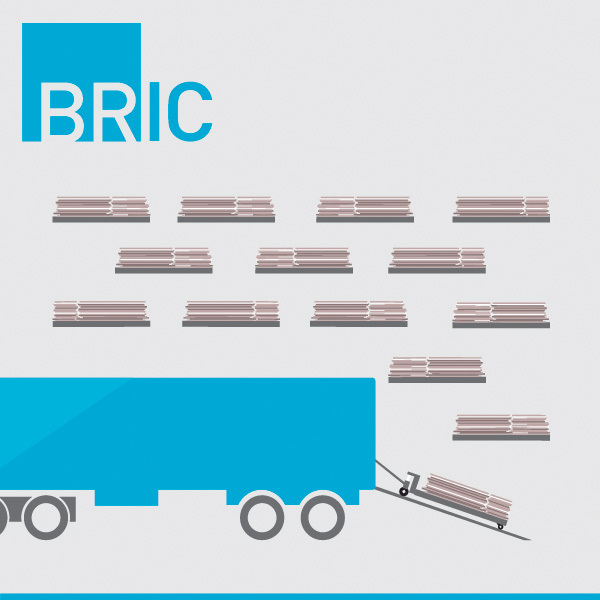 The BRIC System is easy to ship, reducing unloading and placement times. Each pallet, as well as its contents, are labeled with only the pertinent information required on the jobsite. 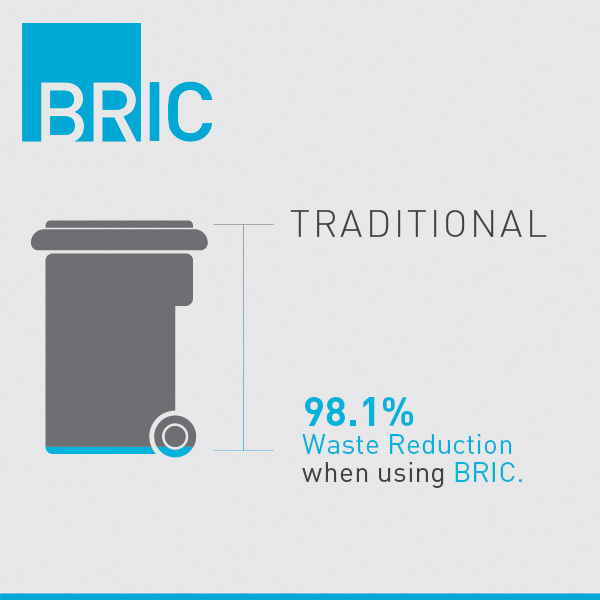 The BRIC System significantly decreases the cost associated with packaging and shipping. The densely-packaged pallets allow us to maximize the volume of products per truck. The reduction of packaging materials results in an overall decrease in waste disposal costs. 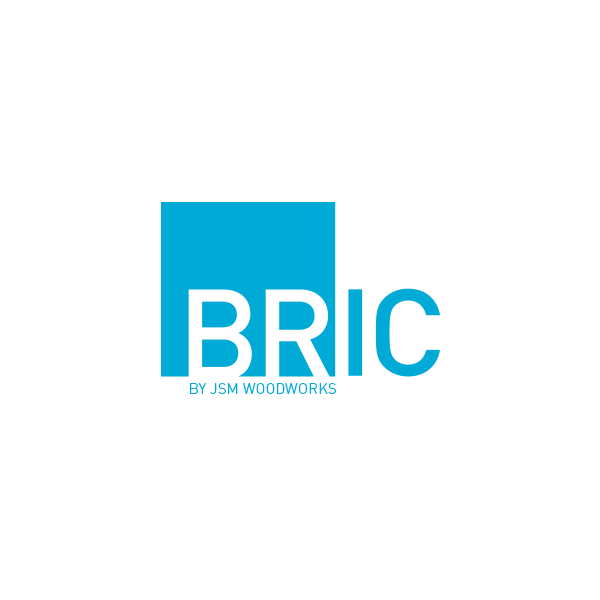 In an environmentally charged world, the BRIC System’s economical one-room palletizing system reduces waste at every level of production, for both the planet and the bottom line. The pallets we use can be recycled via pallet companies at the destination. 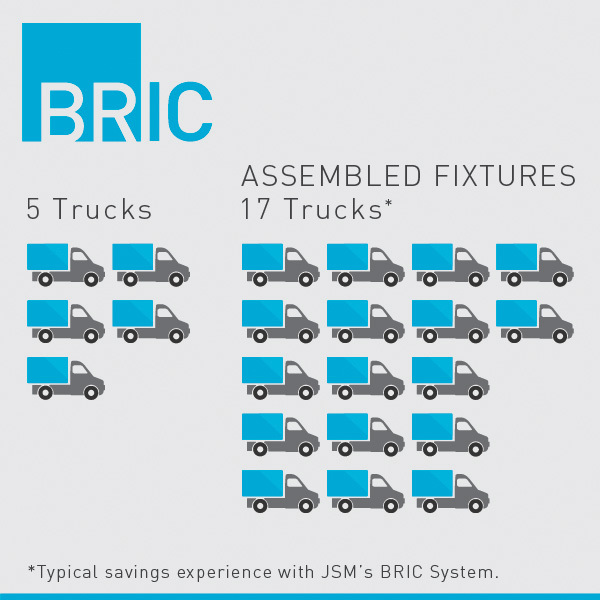 The BRIC System is fully customizable, from fasteners to shipment based on the requirements of our customers. Lockdowel EClips are shown here serving as the clamping mechanisms for each fixture. only a matter of minutes. 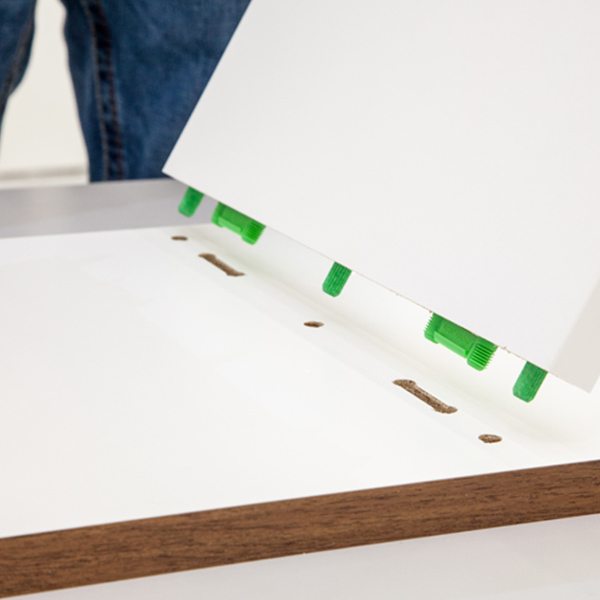 Installation drawings, as well as an optional toolkit, accompany each BRIC, making assembly straightforward and seamless, taking only a matter of minutes.